Many Christchurch homes are in poor condition, affecting the health, safety and security of their households. Poor housing creates stress, badly affects family health, and makes it hard for kids to study. Over the last year, Habitat Christchurch’s A Brush With Kindness programme has helped the Parkhill, Beattie, Price and Ireland families make their homes cosy, healthy and safe for their children. We have done that by mustering volunteers and corporate supporters. We can do a whole lot more with your help. Donate now to Habitat Christchurch. 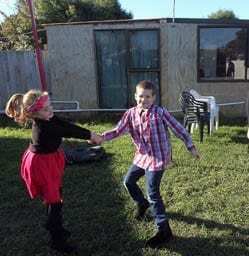 Following the Christchurch earthquakes, we have provided new homes for 21 families who desperately needed them, resulting in significant improvements in health, security and employment for those families. A Brush with Kindness is a programme under which critical home repairs are completed for families who own their own homes but need support to address issues of weather tightness, security or safety. Volunteers are at the heart of what we do. We know your time is precious, and each and every one of our volunteers is precious to us. Whatever your experience, stage of life, skill-set or passion, we’d love you to come and join our amazing network of volunteers. We need volunteers in our ReStore charity shops, on build sites locally and overseas, and in specialty roles such as drivers and electrical testers. If you think you can spare some time to help provide people with a safe and healthy home, please get in touch. Either by sending an email or by giving us a call on 03 420 4342. Give a financial donation that will help those who need it most. Every dollar makes a difference. Donate your pre-loved quality goods to our ReStores. 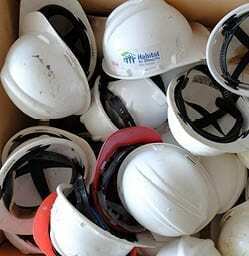 Habitat for Humanity ReStores are second hand stores that accept and resell pre-loved items. All sales generate funds to support our building programmes, while reducing the amount of used materials in overflowing landfills. It’s a good deal for you, the community and the environment. Our stock is always changing as new items are donated by local residents and businesses daily. You can expect to find furniture, clothing, toys, kitchenware, books, appliances, building materials, tools and much more. More info about Christchurch ReStores. Organisations choose to partner with us for many different reasons. It could be because you are committed to being actively involved in the future of the region, or because your organisational values align with our values of ‘building strength, stability and self-reliance’ and providing a ‘hand-up’ rather than a ‘hand-out’. Often, being involved in a hands-on ‘sweat equity’ project is something that staff love, and is a huge boost for staff engagement and team morale. Whatever the motivation, the support provided by partner organisations changes the lives of our partner families. Talk to us about corporate partnership opportunities today. The Habitat for Humanity Christchurch board of directors is the governing body of the affiliate. Board members are responsible for overseeing the affiliates’ activities and for providing strategic direction.